For the most part, The Matinee ’18 March 15th edition is loud and robust. The music is meant for turning up and letting yourself go. The first song, though, will ease you into the mini-playlist so as to now blow out your ear drums. Enjoy the tunes, which are listed in reverse alphabetical order. There was a time when many singer-songwriters aspired to be the next Alicia Keys, and piano-driven ballads became the norm instead of the exception. 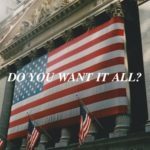 Now many attempt to be the next London Grammar, BANKS or James Bay, but what if you could combine the two together? How wonderful would it sound? 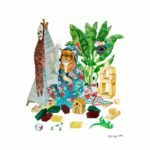 The answer is immediately before us in the form of Tiger Darrow‘s new single, “Like Summer”. The Dallas native, now New York City resident marries the two approaches beautifully. In the background, the piano pulsates like a heartbeat while the delicate production word adds to the song’s intimate and cinematic atmosphere. It’s breathtaking and stunning, and you’ll want to drown yourself in it. You’ll also want to immerse yourself in Darrow’s ode to a childhood friend (or maybe sibling) and the memories she still holds on to. And memorable is this tune. The single is out now via Blanket Fort. It’s a crime that Brisbane’s Soviet X-Ray Record Club isn’t more popular than they are even in their own country. They are, in this man’s opinion, one of Australia’s most exciting bands. Maybe heads will start turning in their direction after people get wind of “Weekend”. Merging the post-punk aesthetics of Joy Division with the booming shoegaze of A Place To Bury Strangers, SXRC deliver one of the early year’s most stupendous and wondrous songs. Like the Buzzsaw at Dreamworld on the Gold Coast, this song is an exhilarating, epic ride that is off the charts on the thrill meter. For five minutes, your heart will be pumping, the adrenaline will be flow, and you’ll find yourself touching the sky when it comes to an end. And similar to the most memorable roller coasters, the euphoria lasts several minutes if not hours afterwards. Memorable indeed. SXRC’s sophomore album is expected later this year, and it, too, should be a riot. The band is comprised of Steven Appleton (vocals/guitar), Leith Jacobs (drums), Shaun Paton (keys/backup vocals), and Kurt Pitman (bass). Back in April 2015, we fell head over heels for Saltwater Sun with their melodic indie pop-rock. After a short break, the quintet return with arguably their best song in their short career. 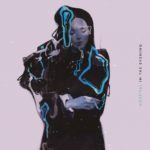 It’s not just because “The Wire” is an infectious ear-worm filled with a fantastic bass line, a rip-roaring guitar riff, trembling percussion, and Jennifer Stearnes’ intoxicating vocals. It’s also because the front woman has crafted her most gripping and intelligent lyrics to date. Instead of taking on the usual subjects, Stearnes’ focus is on the dissolution of our communities, societies, and the entire world. Greed, selfishness, and individuality consume us, as we completely disregard those around us. All that matters is that we come out on top. Choose your words and make’em hurt. The single is out on Hand In Hive. Hopefully this is a sign that an album is on the way. Saltwater Sun are Jennifer Stearnes, Dan Kingham, Joel Neale, Benny Chandler and Robert Carter. One of our Artists to Watch in 2018 and a favorite of our London photography duo – Paul and Marcus – October Drift have finally given us something 10 weeks into the new year. 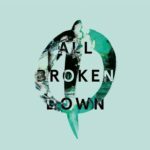 And the wait was worth it because “All Broken Down” is a stunning and breathtaking piece of shoegaze. 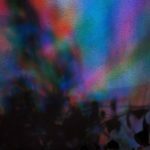 The familiar distortion of the guitars is reminiscent of the cosmic, dreamy approach of Cocteau Twins and Slowdive, yet a throbbing, haunting quality streams through the track thanks to Alex Bispham’s probing bass line and front man Kiran Roy’s deep vocals. Although you may want to rock out to this song, the best way to experience it is to close your eyes and breathe in every element. Then listen closely to Roy’s words and think about your own fragility and vulnerabilities. But like the front man, don’t give in. Instead, let this song be the one that has you racing out the door and chasing after your dreams. October Drift are Kiran Roy (vocals/guitar), Dan Young (guitar), Alex Bipsham (bass), and Chris Holmes (drums). For those who lived during the ’90s when Oasis was great and Suede ruled, this song sounds like the concoction that would have occurred if the two UK legendary bands had collaborated. 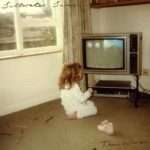 It possesses the groovy edge of the former’s Definitely Maybe and the electrifying alt-rock of the latter’s self-titled debut. The guitar and keyboard work alone are worth the price of admission so you can unfurl your best windmills and showcase your Liberace skills. Stay also for front man William Pollard’s smart lyrics, which have a Billy Joe Armstrong flair as he addresses the greed and idiocy flooding the US and even their backyards of the UK. To call this song awesome would do it injustice. The band is comprised of William Pollard (bass/vocals), Liam Waddell (guitar), and Dominic Reed (drums). 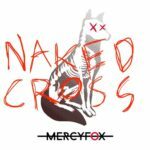 If you’re wearing a really good pair of headphones right now, you might want to turn down the volume a little bit because the bass on Mercyfox‘s new single, “Naked Cross”, might blow your ear drums. But if you like heavy, throbbing bass, then turn the dial up several notches. Now don’t be mistaken in thinking this is a high-intensity, pulsating EDM track or even a mainstream pop tune. On the contrary, lead singer and songwriter Dragut Lugalzagosi and producer Christoffer Hein have crafted a dark, scintillating electro-rock number whose sole intention is to enrapture. Sure there will be plenty of head throttling to the pounding rhythms and beats and a sense of euphoria to the cinematic melody, but Lugalzagosi’s lyrics are right out of Bram Stoker’s Dracula. You can think of this as a love song set in the afterlife or the underworld, or conversely it could be the story of our world today where bloodthirsty leeches will do anything to get ahead. 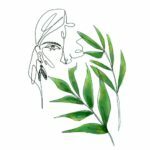 Whatever story you opt for, this is a pretty cool introduction to the Danish duo’s surreal world. We cannot say enough about the innovation that is coming out of Montreal, which, outside of Austin, is arguably the city with the most inventive artists and bands. Arcade Fire, Ought, Patrick Watson, and Suuns are just four of the bands. There is also Look Vibrant, the five-piece who caught our attention nearly two years ago. They’re like Unknown Mortal Orchestra, Radiohead, and Grizzly Bear combined into one band. If you’re having troubles imagining what this sounds like, then press play to “Last One To Survive”. The multitude of layers that stream across the track create a kaleidoscope of psychedelic, electronic, ambient, and art-rock textures. The song is essentially like a prism, where each element emits a different, brilliant color that gets ingrained in your mind. It’s dizzying and neurotic yet spellbinding at the same time. Some bands that attempt to infuse so many elements often create nothing but noise. Look Vibrant, however, create masterpieces of art in the same way Jackson Pollock did. The band’s debut album, The Up Here Place, is expected May 23rd. Look Vibrant are Justin Lazarus, Matt Murphy, Andrew David, Eli Kaufman, and Alex Rand. 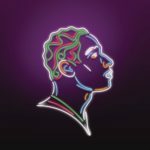 Before Leon Bridges exploded as the renaissance man of the soul and funk genres, our man Rich first wrote about him way back in October 2014. The 28-year old Atlanta native doesn’t need any introduction, but if you don’t know who he is think of him as a young Sam Cooke and Otis Redding. Three years since his smashing debut album, Coming Home, which was among the very best of 2015, Bridges announced his new album, Good Thing, will arrive May 4th via Columbia Records. While most artists would release one song to celebrate the occasion, he shares two. One is the romantic ballad “Bet Ain’t Worth the Hand”. The other is “Bad Bad News”, which we’ve opted for today because of its funk-infused approach that is reminiscent of Michael Kiwanuka’s music. It’s groovy, classic, and fantastic. What really makes the song stand out, however, is how Bridges captures the ’60s and the Civil Rights Movement in his lyrics. From Rosa Parks to Martin Luther King, Jr., Bridges references important events that contributed to African Americans refusing to stay quiet and at the back of the bus. Why are you trying to hold me back? I’m just trying to move up front. A little bit more of this, a little less of that. I’m tired of being in the back. If Good Thing is more like this tune, then we’re going to experience one of the albums of the year. The LP can be pre-ordered here. Although nearly three years have passed, the sentiments remain the same. Moscow is still a place where we still don’t expect to hear stunning, infectious indie-pop. Awesome post-punk for sure, but to hear a song that matches the shimmering qualities of The Wombats and Passion Pit like “In The Evening” is unexpected. Granted, this tune has more of an ’80s vibe in a Rick Springfield sort of way, but still the impact is the same. You’ll find yourself swaying and possibly dancing to the magic of Hospital. Or maybe you’ll get into your convertible and just drive deep into the night to find out if you are the one. If you are the person that your lover still wants. After some 33 months, we can say that Hospital is welcome in our house anytime. Egor Berdnikov (vocals/guitar), Aleksey Shorin (bass), Andrey Tsvetkov (guitar), and Vladimir Balovnev’s (drums) new album arrives in May.